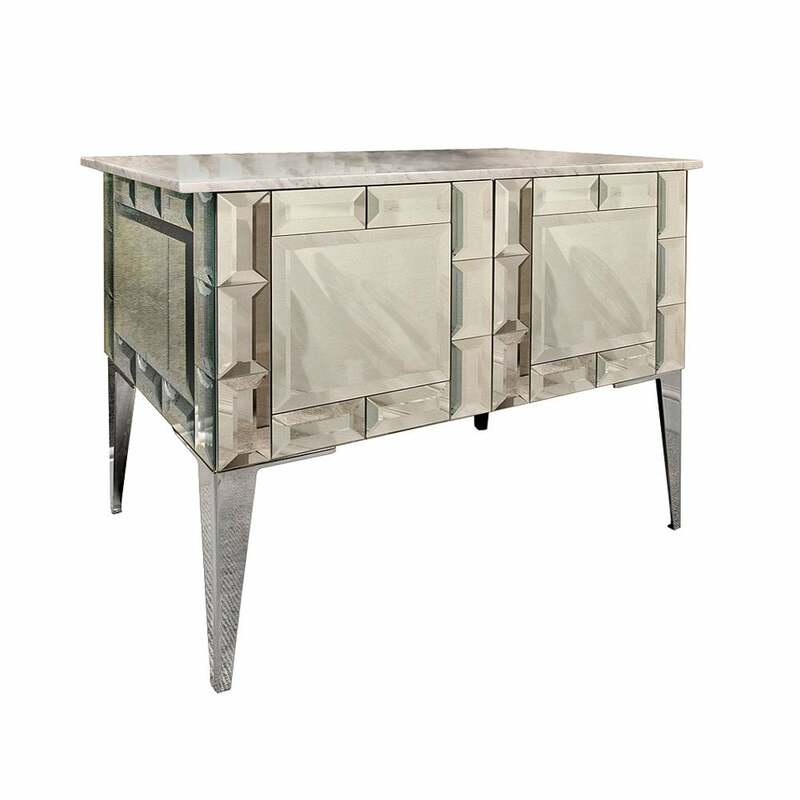 Featuring mirrored tiffany baguettes surrounding bevelled centre glass, two doors with ample storage space inside. Available as a single or double unit. as with all Simpsons pieces, this vanity unit has been handmade in England.